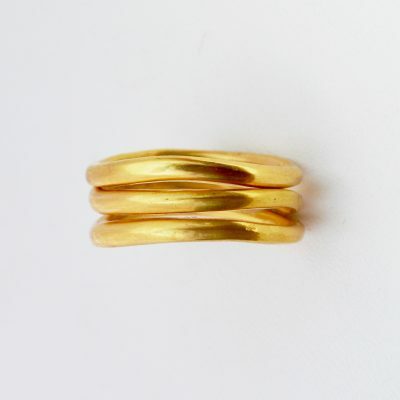 This set is made up of three seperate rings. 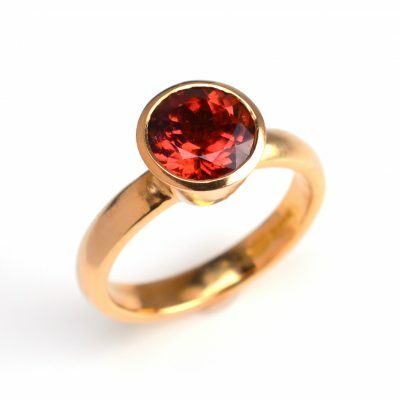 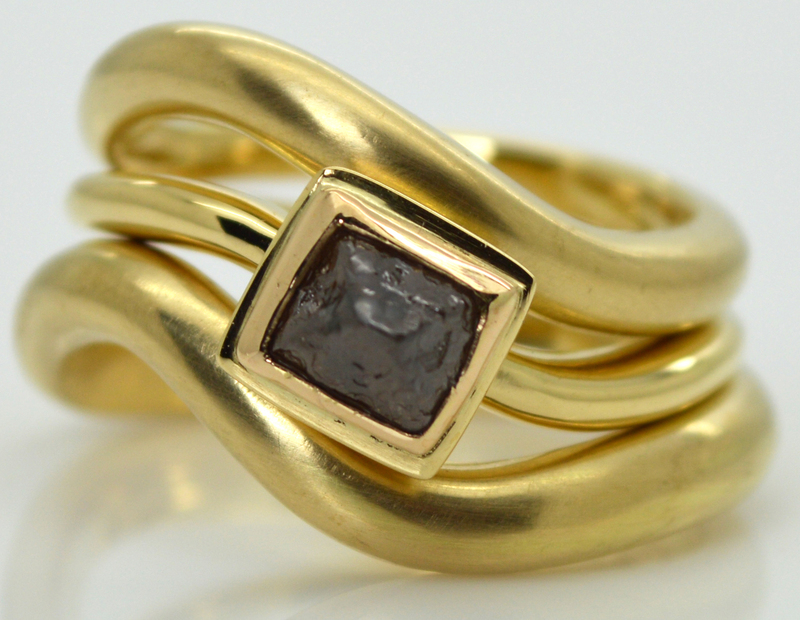 A dark diamond in its natural form , rough and uncut, set in 18ct gold shown here with wedding bands. 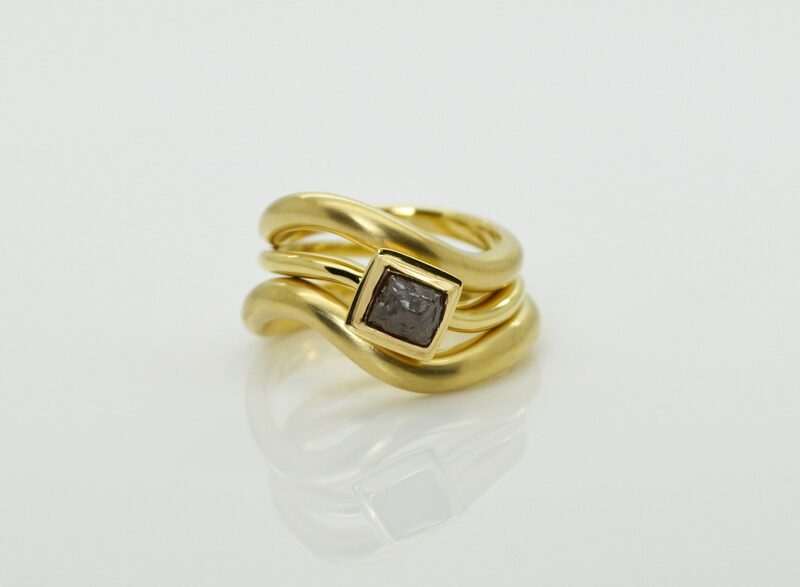 These rings are truly unique and the design is dictated by the natural diamond you choose.